Category: Wildlife and Nature. Tags: Bird Bath, Bird Feeder. 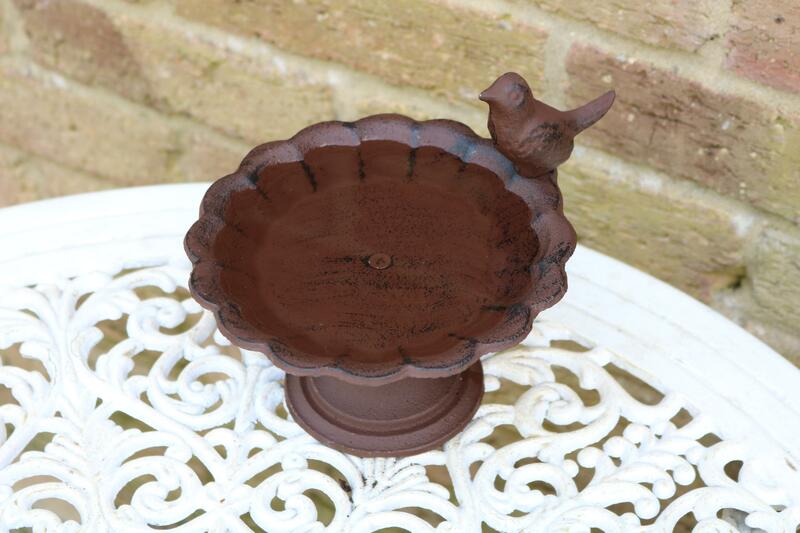 A beautiful small cast bird bath with an ornamental bird sitting on the edge. Can be used for water or bird seed. 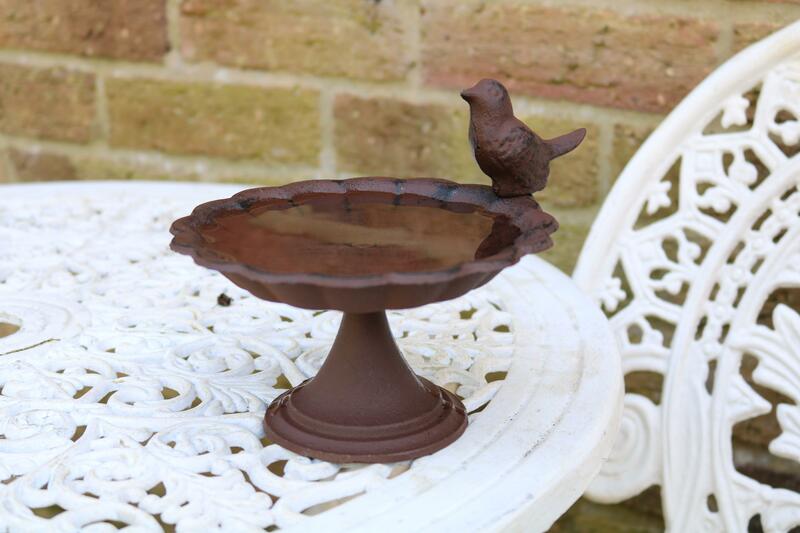 The bird bath comes in a box with instructions and is self assembly. Size: 20cm wide x 14cm in height.